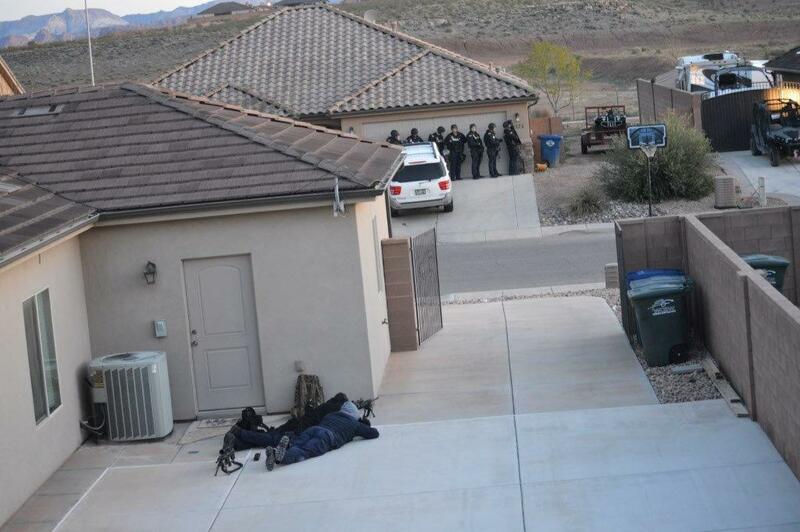 ST. GEORGE — SWAT and law enforcement responded to a domestic disturbance incident in the southwest area of St. George early Sunday morning after a firearm was reportedly discharged during an altercation. A man was taken into custody without incident after a domestic dispute turned a quiet residential street into a scene of heavy police presence in the early morning hours. Shortly before 4 a.m., officers were dispatched to a reported domestic disturbance at an address in “the southwest area of St. George,” St. George Police Lt. Joseph Hartman said. A dispute was allegedly taking place between a couple with children inside of the residence. After speaking with witnesses, officers learned that during a verbal argument a firearm was discharged, Hartman said, in or around a home where the children resided and were present at the time. Once on scene, police requested additional support. 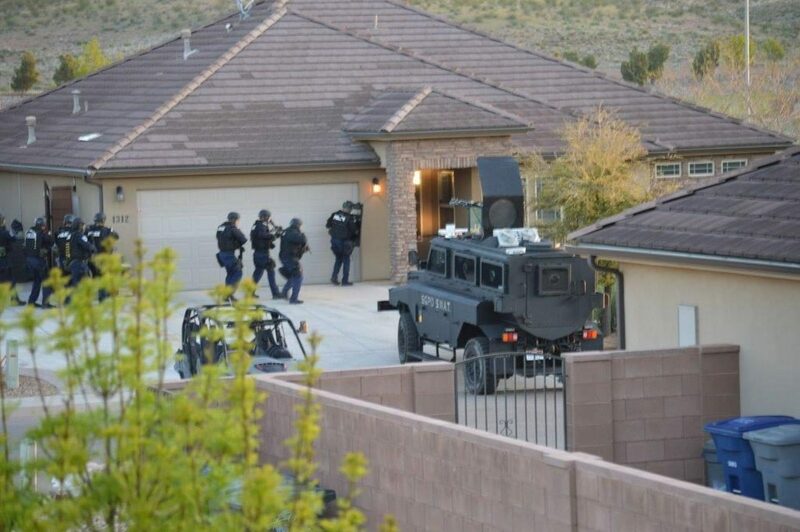 The St. George Police Department’s SWAT team was mobilized, along with crisis intervention personnel to assist with negotiations if needed. 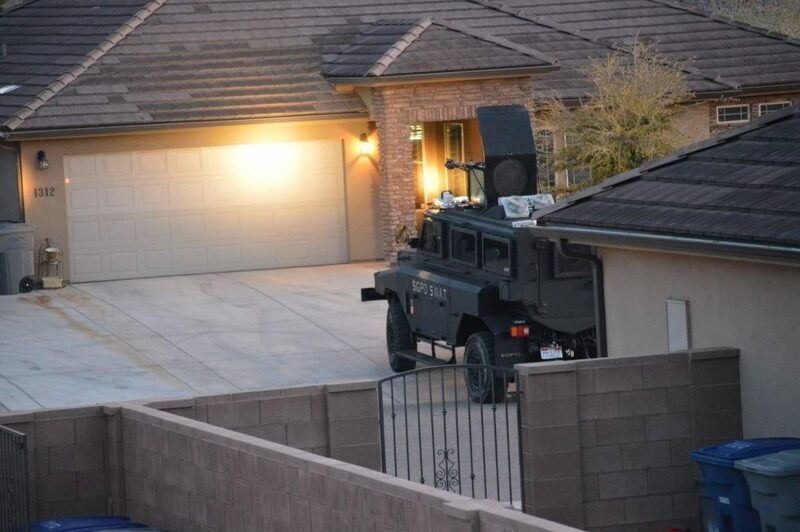 Additional officers began to arrive, followed by a succession of SWAT and police vehicles, filling the quiet street, according to a witness who spoke on condition of anonymity given concern for his relationship with neighbors in the community. The man surrendered shortly after negotiators made contact with him inside the residence, Hartman said, and he was taken into custody without injury or incident to anyone involved. Negotiators are used in this type of situation because they are trained to diffuse the situation, which in many cases leads to a more favorable outcome, Hartman said. The suspect was transported and booked into Purgatory Correctional Facility on several charges. 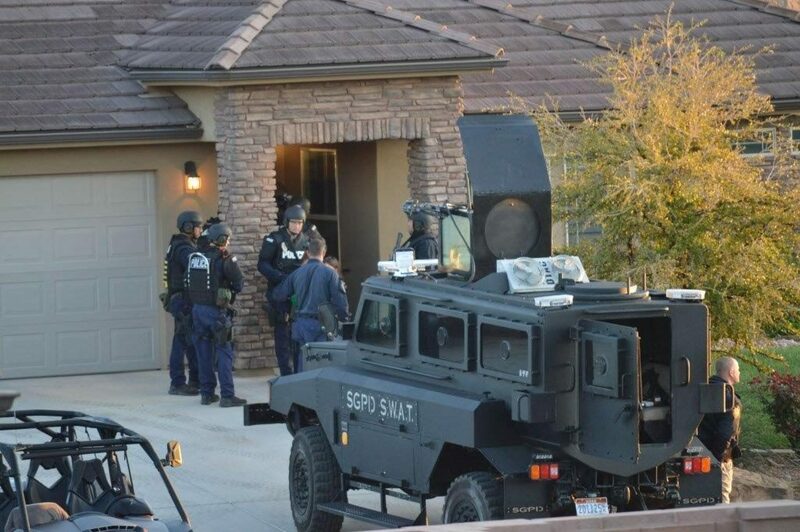 The SWAT team is comprised of St. George Police Officers who are assigned to the team as a secondary position, Hartman said, which is unlike larger police departments who employ a separate SWAT team that serves in that capacity full time. Glad to hear of a quiet outcome. 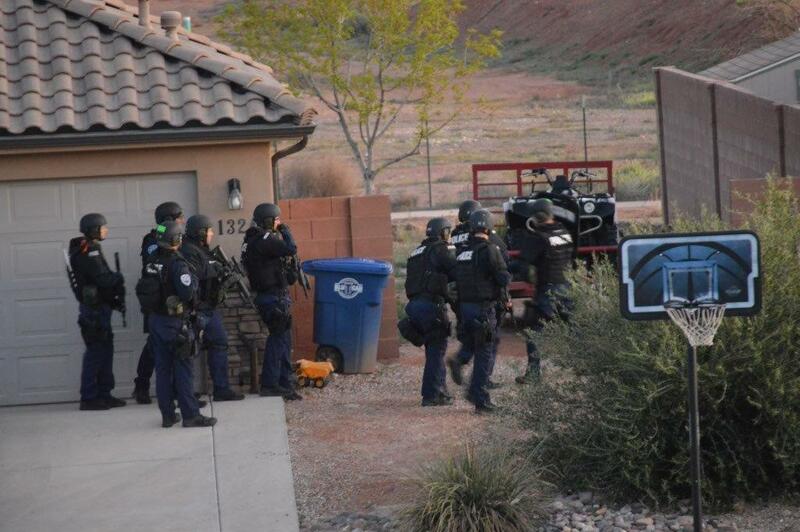 Tonaquint Terrace can check off the rapid response of SWAT as a community feature…. —->>>> making light of something very serious however is shameless.. I’m just glad no one got hurt.. they did a good job. what % are used on family / friends during arguments ? An armed society is a safe society. Thank heavens that these parents saw fit to arm themselves and were able to menace one another in front of their children. These young uns will grow up really understanding the value of gunnin’ up. Knobe, there are plenty of places that don’t allow guns. Why are you making yourself miserable by staying here? Knobe just asked a question, and it brought out “don’t like it then leave” guy.